The Bennetts British Superbike Championship (BSB) runs from May until October and takes in circuits as far apart as Knockhill in Scotland and Thruxton near Andover in Hampshire. Widely acknowledged as the UK’s leading road racing superbike championship and one of the premier domestic superbike racing series in the world, the championship is managed and organised by MotorSport Vision Racing (MSVR), a subsidiary of MotorSport Vision (MSV), owner of several of the UK’s leading motor racing circuits, including Brands Hatch and Oulton Park. To ensure everything runs smoothly, MSVR offered one of the UK’s leading hire providers, Speedy, a sponsorship deal involving the supply of temporary power and communications equipment at each of BSB’s 11 races. Prior to race-day, Speedy supplies and installs a number of its hire solutions, including diesel generators, ranging in size from 20 kilovolt-amperes (kVA) to 250 kVA, and complementary electrical distribution systems for supplying power to race timing systems, the pit lane, campsites, spectator areas and race team hospitality. It also provides a wide range of radio sets, headsets and assorted accessories to meet the communications needs of race teams, stewards, marshals and the MSVR operational team. Stuart Higgs, Series Director, MotorSport Vision Racing, said: “We are delighted with the service that Speedy provides. They offer a complete turnkey solution and they always do what they say they are going to do. We have total confidence that all the equipment will turn up on time and that it will be fully installed and decommissioned on the agreed dates. All the competing teams can have complete certainty that when they turn up to race everything will be where it needs to be and they will have electricity whenever they need it. 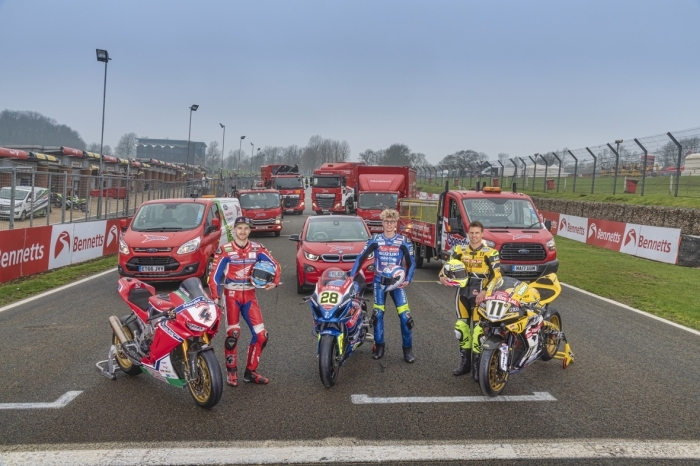 Since Speedy became involved with BSB in 2012, the race series has evolved significantly – it is now believed to be the most widely watched motorsport series in the UK. Over the same period, the relationship between Speedy and MSVR has also changed: what started out as a small deal to supply equipment in lieu of sponsorship has evolved to the point where Speedy is now a preferred equipment provider for the entire championship. The two companies have a great working relationship and Nick White, Sales Director, Power at Speedy Services, is confident that this will continue long into the future. He said: “We are very proud to be supporting the British Superbike Championship. It is already a hugely successful series and it has great potential to grow further in the future, in terms of both spectator and team numbers. We are focused on helping support that growth for BSB and MSVR through the service we offer them.